Browse our curated selection of holiday gift ideas. From the season's most exciting fiction and nonfiction to the best kids' picks, our staff recommendations make it a breeze to select the perfect books for the readers in your life. 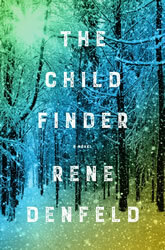 I was ready to have my heart broken by Rene Denfeld's The Child Finder. What I didn't expect was that by the end of the story, I would feel joy and healing. A simple but remarkable telling of a world close to all of us. 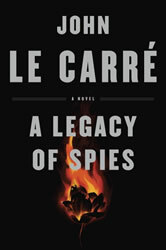 - Doug C.
A Legacy of Spies brings us back to the familiar world of George Smiley, Peter Guillam, and the Circus. We can once again enjoy the deft hand of Le Carré as he unravels a mystery begun in The Spy Who Came in From the Cold. This book masterfully recaptures the feel of Le Carré's best novels, and the only sadness is you know that this is our last encounter with these characters. 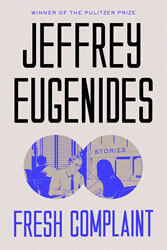 - Miriam S.
Eugenides drew from his full, illustrious writing career to give us this collection of short fiction, featuring characters trying their best to cut a singular path in a messy, modern world. The outcomes are mixed, but each story is exquisite. - Renee P.
When mysterious artist Mia Warren and her daughter settle in suburban Shaker Heights, Ohio, their lives intersect with the Richardson family. The results are devastating to all. Blinded by good intentions, undone by kindness, and wounded by casual, if unintentional indifference, the Warrens and Richardsons broke my heart. 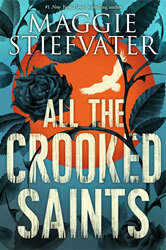 - Kathi K.
I still cannot believe that this is a debut title. It's that good. This book encompasses a lovely, wrenching mix of phenomenal prose, intriguing science fiction premises, and a basis in reality that gets to your core. - Shayna O. 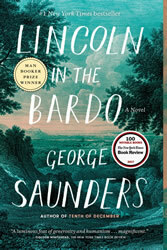 With hilarity, ribaldry, and some very poignant moments of tenderness, George Saunders tells a wondrous tale of love, loss, longing, and time — raising important questions of both mortality and morality while mesmerizing the reader with an absorbing mix of trademark wit, spirited dialogue, and impressive technique. 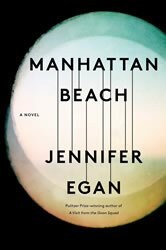 - Jeremy G.
I don't always read historical fiction, but I'm so glad that I made an exception for Manhattan Beach. I love Jennifer Egan's prose and the atmosphere in this book, and the intertwining storylines kept me intrigued to the end. - Ashleigh B. To me, Helprin doesn't so much write as seduce. 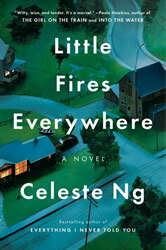 His exquisite prose creates worlds and characters that are immediate and overwhelmingly romantic. I loved this story of a profoundly good man struggling with the wounds of his past to create, against all odds, a future for his family. And Paris! Ah Paris! Never has the city been so perfectly rendered. - Kathi K.
Practical Magic remains one of my favorite Alice Hoffman novels. Rules of Magic is a prequel that tells the story of the Owens family, focusing especially on siblings Franny, Jet, and Vincent. They are children of the '60s, both cursed and blessed by their witch bloodline. 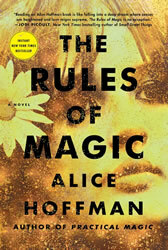 This is Hoffman at her magical best and Rules is now a new favorite. - Kathi K.
Quick, run to the grocery store — there's a special on Raisin Zeta Jones! Welcome to the world of Liartown, where artist, provocateur, and former Powell's Books employee Sean Tejaratchi incisively satirizes the ephemera of pop culture. 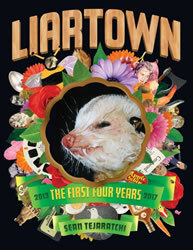 Liartown is dark, clever, hilarious, and entirely unique. - Leah C.
Jazz is struggling to make ends meet in Artemis, the only city on the moon. When a lucrative criminal opportunity presents itself, how can she say no? 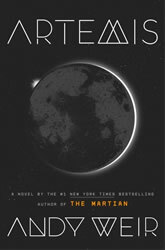 This fast-paced story is just as quirky and fun as The Martian. A highly entertaining read. - Lucinda G.
I loved this book so much. The story of Drosselmeier, the wood carver whose enchanted journey leads to the creation of the soldier brought to life in "The Nutcracker," is steeped in German fairy tale symbolism. 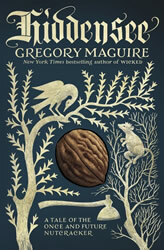 Maguire's retelling is richly intricate, winding, and mesmerizing. - Aubrey W.
Could the Joyous Congregation of the Smiling God be endangering the beloved Night Vale community? Scientist Nilanjana Sikdar is on the case! 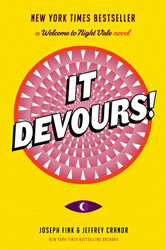 Night Vale fan or not, you won't be able to resist this smart, funny novel that is as charmingly strange as the rest of the series. - Matt K.
Stephen and Owen King have combined their considerable powers to write a chilling, moving, and eerie novel for our times. What would happen if all the women in the world went to sleep — and never woke up? 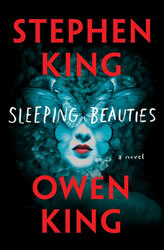 Sleeping Beauties answers that question with grace, humor, and terrifying yet fascinating consequences. - Jill O. In the decade since Patrick Rothfuss released his masterpiece, my amazement with his style and imagination has only grown. In this gorgeous illustrated edition, the art of Dan Dos Santos brings Kvothe and the Kingkiller world to new life. 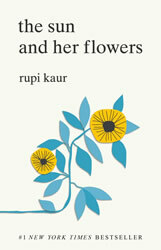 How could you resist this beautiful book? And why would you want to? - McKenzie W.
This volume of poetry was carefully selected by Mary Oliver from her entire body of work, making it a true treasure. 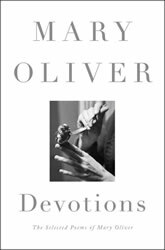 Oliver is a much-needed voice in this time, with her praising of nature, the value of life, and silence. - Richard C.
Billy Collins is back with another irresistible poetry collection that showcases his ingenuity, charisma, and spirit. 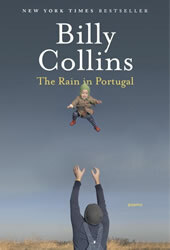 The Rain in Portugal both elevates the everyday and cuts unwieldy topics down to size. An exemplary collection from a beloved poet. - Moses M.
Fans of Rupi Kaur's spare, emotionally resonant verse will be delighted with her second volume of poetry. Kaur's beautiful line drawings and characteristically affirmative, accessible style make The Sun and Her Flowers as lovely to behold as it is to read. 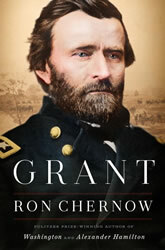 - Rhianna W.
Chernow knocks it out of the park with this fascinating reappraisal of one of our country’s most distinguished yet reviled generals and politicians. By page 1,000, you'll not only have stronger biceps, but a profound understanding of 19th-century America and the man who graces our $50 bill. 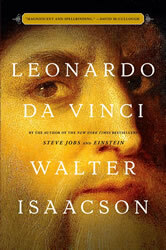 - Rhianna W.
Equal parts scientist, engineer, and artist, Leonardo da Vinci's genius is expertly detailed by Walter Isaacson in this fascinating and enjoyable biography. 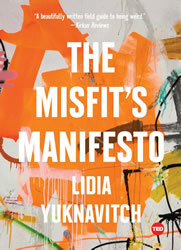 - Lucinda G.
Brilliant writer Lidia Yuknavitch brings us a powerful field guide to living the life of the misfit — proudly. Based on her wildly popular 2016 TED talk, The Misfit's Manifesto is searingly frank, funny, and intensely inspiring. A potent call to arms for misfits everywhere. - Gigi L.
In Where the Past Begins, Tan shares her memories of growing up, family secrets, and how emotional truth and fiction comingle. Whether you're a longtime fan or a newcomer to her work, Tan's unforgettable prose and wry sense of humor make this a can't-miss read. 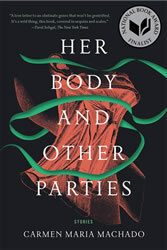 - Mary Jo S.
My friend asked me to recommend a book that best sums up the most embarrassing elements of the human experience. 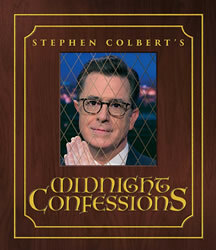 I gave her Stephen Colbert's new book. #midnightconfessions - Moses M.
Tales of Two Americas is an amazing, heart-wrenching collection of stories and poems that highlight the vast inequality in the United States. 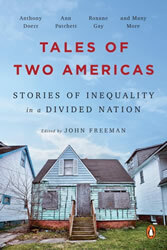 Dozens of my favorite authors share deep insight into the obstacles that interfere with achieving the American dream. There's no better time to increase our understanding of these issues. - Kim S.
Dan Rather has made himself one of the most essential voices to read in our current political climate. 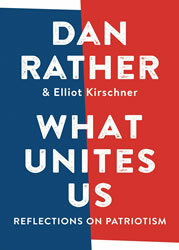 What Unites Us is a hopeful, thoughtful, and rational book about how we can come together as citizens even — and especially — in profoundly troubling and divisive times. - Jill O. The essays in this dynamic collection examine the history of white supremacy in American government. 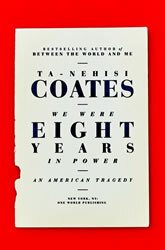 A unique blend of memoir and criticism, Coates's new work will interest readers of Between the World and Me, as well as those seeking a searing account of race in America. 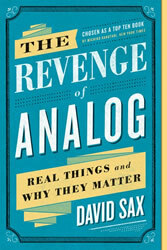 - Rhianna W.
The Revenge of Analog is well-researched, frequently amusing, and wittily written. Sax has done a tremendous job of distilling the momentum behind a necessary (and underreported) cultural shift that is gaining traction by the day. 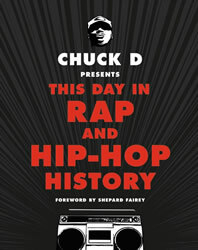 - Jeremy G.
Leave it to none other than Chuck D, one of the most influential MCs of our time, to bring this much-needed compendium of rap and hip-hop milestones into existence. Rap and hip-hop fans, b-boys and b-girls: You need this book in your collection! 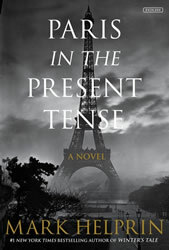 - Kate L.
Denise Kiernan has written a book befitting its magnificent subject. 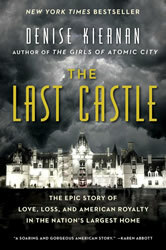 The Last Castle takes readers on a behind-the-scenes tour of the Biltmore Estate and its well-heeled occupants, from the sprawling estate's construction during the Gilded Age through the present day. It's a luxurious read. - Renee P.
A compassionate look at how the medical industry currently handles aging, terminal illness, and end-of-life issues. 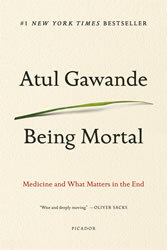 Often medical professionals ignore quality of life, or a person's overall well-being, in favor of more treatments. There are no easy answers, but our reluctance to address these issues has not helped us to make more informed choices. 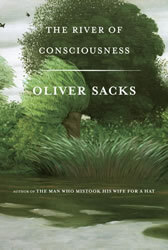 - Mary Jo S.
This collection is one of two books Sacks was working on when he passed away, and with probing essays on time, memory, creativity, and consciousness, it's a fitting send-off. As usual, his inquiries reveal a dedication to intellectual rigor matched by an extraordinary generosity of spirit. 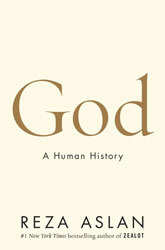 - Renee P.
God: A Human History is Reza Aslan's intriguing account of humanity's evolving and myriad conceptions of the divine, ranging from prehistoric cultures to modern-day monotheism. Concerned primarily with how and why people anthropomorphize God, Aslan's clear prose and fascinating historical research will keep you engaged to the provocative conclusion. 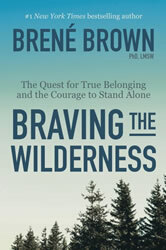 - Lucinda G.
Brené Brown's wisdom is a salve for this violently divided age. Full of funny, relatable life stories, the power of Braving the Wilderness lies in its reminder that we are all human, and we all deserve humanity. 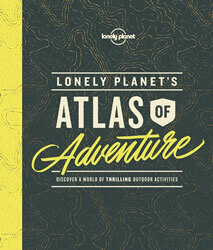 - Lucinda G.
Need some inspiration for your next adventure? With its breathtaking photos and truly unique suggestions, Lonely Planet's new guide may just motivate you to go on a cycle safari through Botswana, try sandboarding in Peru, or camp inside a glacier in Norway. - Renee P.
Take an intrepid wolf, put it in Yellowstone's famous Lamar Valley, throw in a mix of conservationists, hunters, and ranchers, and you have the makings for an arresting story full of conflict, suspense, and heartbreak. 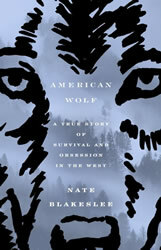 Blakeslee's beautifully written book may be nonfiction, but it reads like a novel. 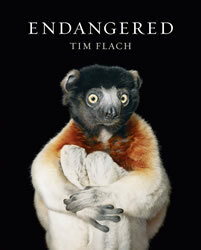 - Matt K.
I love this gorgeous photography book focused on endangered species. The photos are breathtaking! Included are a diverse group of animals and the threats they face. It is a good reminder to take care of the earth, in order to keep it populated with these amazing creatures. 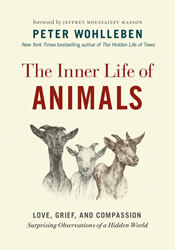 - Jennifer H.
The Inner Life of Animals is an eye-opening and surprising look at pigs, deer, magpies, horses, butterflies, and many other animals as they grieve, feel, think, and plan. You will not look at animals the same way after reading this book. 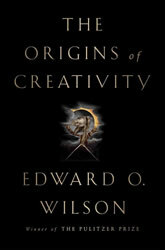 - Jill O.
Edward O. Wilson's latest book is a beautifully written and persuasive argument for resisting the separation of the arts and sciences, and understanding how — combined — they hold the keys to the most essential human traits. The Origins of Creativity is a graceful, intelligent, and crucial work. - Jill O.
I'm fascinated by octopuses, so I had to pick up this book. 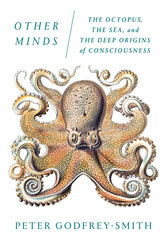 Godfrey-Smith is a philosopher of science, and in this eye-opening (and mind-bending) work, he writes movingly about the evolution of consciousness through his encounters with cephalopods. I highly recommend it. - Moses M.
Theodore Gray's books are just plain cool, and Reactions (the climactic conclusion to his crazy-popular Elements trilogy) is no exception. 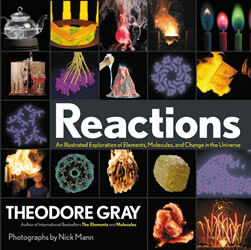 Gray captures the magic that occurs in everything from bread to fireworks in stunning photographs and fun, easy-to-follow explanations. He even shows how watching paint dry can be fascinating. 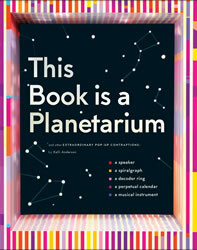 - Moses M.
Yes, This Book Is a Planetarium is a planetarium — but it's also a speaker, a perpetual calendar, and several other tools made only with the magic of paper! This pop-up masterpiece is a beautiful work of art that provides hours of entertainment. - Leah C.
With his curly perm and mesmerizing voice, Bob Ross became a cultural icon, but he saw the world as an inspirational place. Through his lens, mistakes are just "happy accidents" and beauty is everywhere. 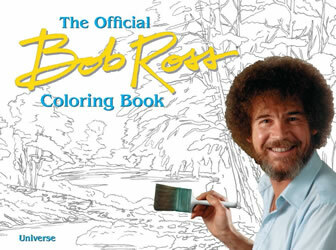 Take care of yourself and color happy little trees with Bob. - McKenzie W.
Van Life celebrates those who make the open road their home. 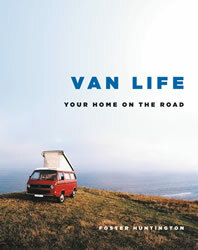 While there's no need to be a fellow van lifer to appreciate the rich photographs and stories in this beautiful collection, don't be surprised if it converts you into a "van person," too. 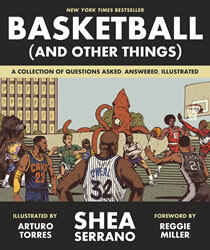 - Kate L.
From the author of The Rap Year Book comes this funny, smart, and illustrated collection of basketball debates. Including topics like "Who's Your Frankenplayer Made out Of?" and "The Disrespectful Dunk Hall of Fame," it is a must-have book for basketball fans. 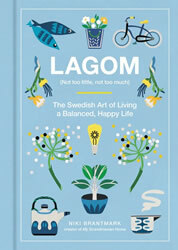 - Jen H.
A delightful companion to the Danish Little Book of Hygge, Lagom elaborates on the Swedish philosophy of nurturing a balanced lifestyle. It's the perfect book to take in on a quiet day when you want to slow down and reflect on how you're spending your time and energy. 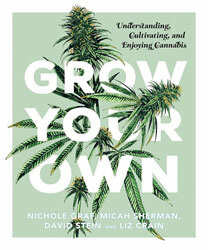 - Lucinda G.
Grow Your Own provides a much needed DIY approach to cannabis cultivation, wrapped up in a modern, accessible, and pretty package. It provides all of the info you'll need to get started learning about, growing, and enjoying cannabis. 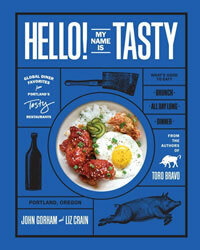 - Leah C.
As a longtime Tasty n Sons (and Tasty n Alder) patron, I knew I had to get my hands on John Gorham's new cookbook and ode to global diner fare. These recipes will satisfy your cravings from morning to late night. I'm already planning my next brunch so that I can serve my favorite Tasty recipes: Shakshuka with Baked Eggs and Lemon Ricotta Pancakes. - Kate L.
Get ready to cook like there's a babushka in your kitchen! 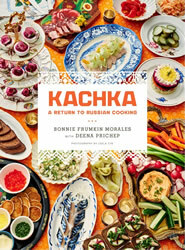 Kachka combines Russian home cooking with PNW farm-fresh style. Chef Morales's dumplings and pickles are much loved in Portland, and we are excited to make them at home. 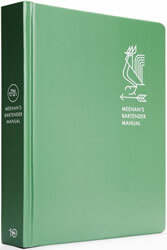 - Tracey T.
Meehan's Bartender Manual is an inspiring craft cocktail book from famed barman, Jim Meehan (The PDT Cocktail Book). Expect to learn a little cocktail history and some righteous bar hospitality. MBM is a treat for craft cocktail aficionados, and a good armchair read for foodies. - Tracey T.
The food in this fantastic cookbook is celebratory, designed to be paired with drinks and friends. 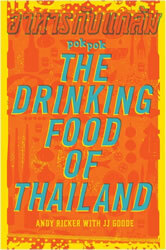 The recipes range from basic (fried peanuts), to adventurous (Pork Ribs Grilled Underwater), to the really adventurous (Northern Thai Frog Soup). It's (almost) as good as a trip to Thailand. 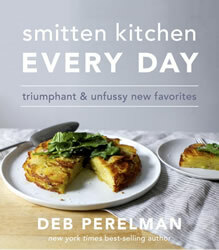 - Matt K.
Halloumi Roast, Zucchini-Stuffed Zucchini, Miso Maple Ribs, Sour Cream Coffee Cake... Deb Perelman's recipes actually get me excited to use my kitchen, which is quite a feat. The dishes here are simple yet unique, with bright, fresh flavors. If you haven't tried Smitten Kitchen yet, you're missing out. - Renee P.
I love baking, and especially experimenting with new flavors and textures. 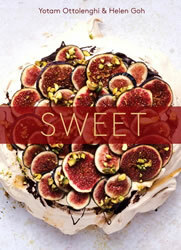 Sweet showcases a huge variety of recipes, including some classic flavors and some for the more adventurous palate. Although some recipes are fairly advanced, this is a great collection for bakers of all skill levels. - Ashleigh B. 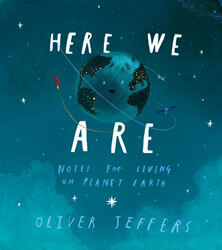 Written for his new son, Oliver Jeffers's picture book Here We Are is wacky, poignant, and sweeping — a lovely guide, for kids and adults alike, to where we are, who we are, and what we should be in the world. 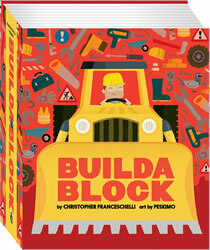 - Gigi L.
Combining the excellent artwork and chunky, easy to hold design of the Block series (Alphablock, Cityblock, Dinoblock, and more) with construction equipment and building machines? Toddler gold. Buildablock will be a huge hit in your household with the five-and-under set. - Jill O.
Humpty Dumpty gets put back together again! But now what? How can he get back to doing his favorite things, like watching birds, when he's become so afraid of heights? 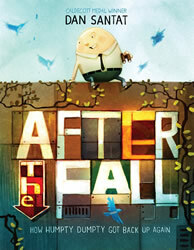 After the Fall is a sweet, funny tale of facing anxieties and coming out on top. - Gigi L.
What a fun way to explore the Pacific Northwest! With sweet artwork highlighting destinations like Portland's Forest Park and Seattle's skyline along with fun things for kids and adults to do together, All Aboard! 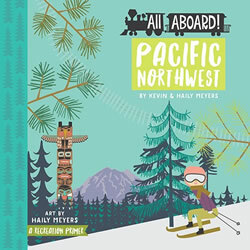 Pacific Northwest is a great board book for budding travelers. - Gigi L.
Uni is different from other unicorns — she believes that little girls are real. Amy Krouse Rosenthal's delightful and adorable board book is a perfect tale to read aloud to wide-eyed toddlers. - Jill O. Join the Heffleys on a holiday trip to a tropical island! What could possibly go wrong with Greg and his family on an exotic vacation? 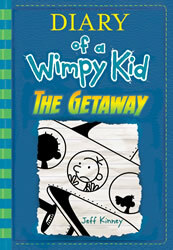 Jeff Kinney brings more tales of family drama and woe in the 12th book of the Diary of a Wimpy Kid series. 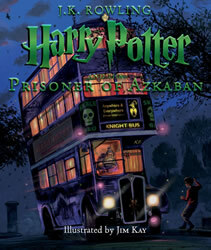 - Kim T.
Gorgeous color illustrations accompany Harry, Ron, and Hermione's pursuit of mysterious Azkaban escapee, Sirius Black. 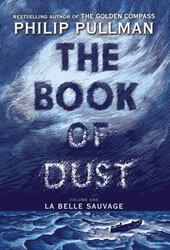 This beautiful edition provides a great excuse to reread the book, or introduce it to your favorite young reader. - Rhianna W.
Oh no! The mouse was eaten by the wolf! But what happens when that mouse encounters someone else living inside? With their signature wit and imagination, Mac Barnett and Jon Klassen hilariously turn the classic fairy tale inside out — or make that right-side in! 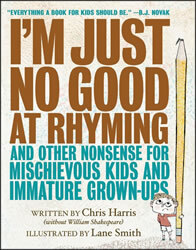 - Gigi L.
This collection of funny, witty poetry is sure to be a hit with kids (and immature grown-ups). 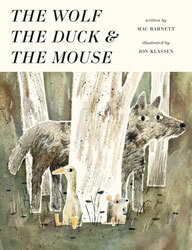 Lane Smith's illustrations add a delightful dose of extra silliness. Expect many rereads and lots of giggles, guffaws, and belly laughs. 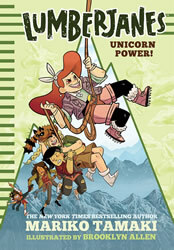 - Jen H.
This addition to the Lumberjanes universe is the first in a series of chapter books centered on the spunky adventurers we know and love. 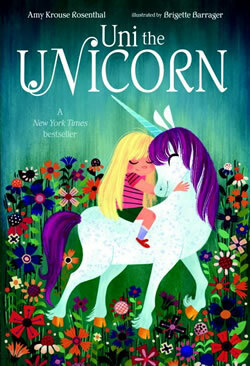 In this book, the gang goes on a series of supernatural adventures featuring everyone's favorite magical creature, the unicorn! 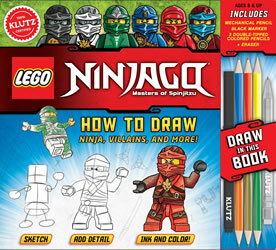 - Leah C.
LEGO Ninjago: How to Draw Ninja, Villains, and More! Train your drawing skills with easy tracing activities and artist-approved techniques for sketching your favorite Lego Ninjago characters. Each set comes with three double-tipped colored pencils, a block eraser, a mechanical pencil, and a black marker. Perfect for ages 8 and up! 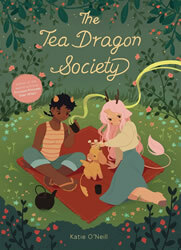 - Kim T.
Somehow The Tea Dragon Society manages to pack about a million important messages into one adorable volume without being preachy or sentimental. Instead it is a testament to love — love of family, friends, pets, tradition, craft, tea, generosity, and kindness — all of the best things in life! - Leah C.
Colin Meloy has a way with relatable child characters living remarkable lives. In The Whiz Mob, Meloy gives us Charlie, a pickpocket-in-training at the School of Seven Bells. 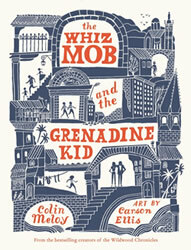 Perfectly paired with illustrations by Carson Ellis, The Whiz Mob is a treat for all readers. 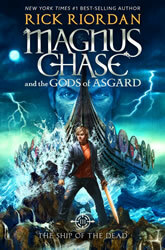 - Lucinda G.
The final book in the Magnus Chase trilogy finds Magnus preparing to battle trickster Loki. Loki is preparing Naglfar, the Ship of the Dead, to sail against the Asgardian gods in the final battle of Ragnarock. Read the much anticipated conclusion to this exciting series! 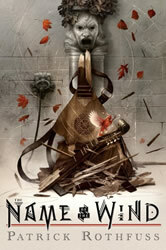 - Kim T.
This stunningly beautiful, illustrated middle reader is filled with fantasy and adventure! 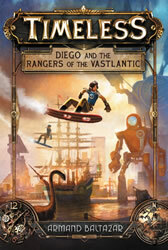 Diego lives in a world where the past, present, and future have collided. Join him and his friends as they rescue their families in this cinematic and compelling read. - Kim T.
As the end of the school year approaches, Nikki Maxwell is dealing with a lot of messy drama, and it all comes to a head in Tales From a Not-So-Secret Crush Catastrophe. 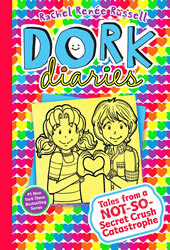 Nikki is as charming and relatable as always in this 12th installment of the addictive Dork Diaries series. - Matt K.
This story, about a family that can work miracles on the pilgrims who are drawn to it, is about what it takes to trust and love a person completely. The writing sings a tale of the dance of life, and should be read by teenagers and adults. - Richard C.
The first volume in this prequel (or "equel," as Pullman calls it) to the Golden Compass trilogy does not disappoint. Pullman is at the height of his powers, including a page-turning plot, unforgettable characters, and a thoughtful and relevant philosophy behind the mesmerizing world he has created. 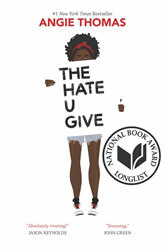 - Jill O.
Engrossing, painful, galvanizing, and necessary, this book is a powerhouse of a book, destined to become a classic and deserving of every bit of praise it's received. I suggest buying three copies — one to keep, one to ruin (either with tears or by hurling it angrily across the room), and one to share. 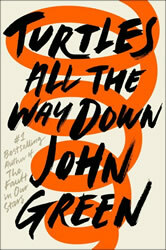 - Tove H.
John Green fans rejoice: the wait is over! Aza, who suffers from obsessive thought spirals, and her best friend Daisy are in search of a fugitive billionaire and the reward money for his capture. I loved this tale of adventure and friendship. - Jen H.